A new generation of PCB data management tools are now available that are designed specifically for the needs of the PCB design team. These tools are built to make data acquisition, data management, and project communication a natural part of the design process. They empower the engineering team with easy to use data management capabilities so they can spend more time focusing on product innovation. 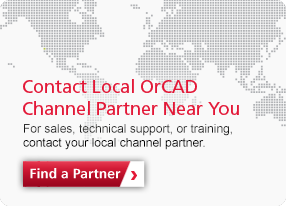 Register to learn how OrCAD is breaking down the status quo and providing PCB design data management built specifically for PCB designers.